Over 170 people died in road accidents in Scotland in 2013, according to the latest provisional figures from the Scottish Government. Nearly 1,670 were seriously injured and over 9,650 suffered minor injuries. As dreadful as these accident figures are, they are much better than they used to be. In 1980, for example, 29,286 people were killed or injured on Scotland’s roads. So what has made the difference? Since 1980 there have been a growing number of road safety campaigns, advances in car safety technology, improved road design and a general increase in road safety awareness among the general population. These have all contributed to the fall in the number of casualties. But these changes and campaigns have been implemented in different ways and times across the country, and this means that the number and type of car accidents in Scotland varies as you move from one region to another. It is well known that most car accidents take place at low speed, resulting in minor injuries such as whiplash. More serious or fatal injuries are most likely to occur when the car is travelling at speed. Thankfully these are much less common. In either case, if you have been injured in a car accident through no fault of your own, you may be entitled to claim compensation for your pain, suffering and other losses. If you are thinking about making a car accident claim it will help to have expert advice from a lawyer who understands the issues involved. Thompsons' compensation solicitors are very experienced in investigating and advising on road accident claims. 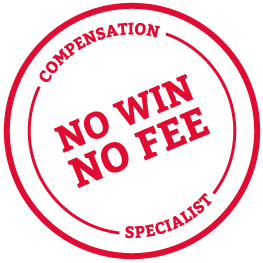 We have an excellent success rate - we win over 90% of our personal injury cases and recover over £1 million every week for our clients. How much could you claim? Call 0800 0891331 for free legal advice.